David Auer was recently seen on FOX, ABC, NBC, and CBS network affiliates around the country as a guest on Success Today with Bob Guiney. Tulsa, OK April 12, 2016 – David Auer, CEO and Founder of Auer Tax Group, was recently featured as a guest on Success Today with Bob Guiney. The show was filmed in Orlando, Florida and features an interview with Bob “The Bachelor” Guiney as host. The episode with David Auer recently aired on affiliates of FOX, NBC, ABC, and CBS around the country. Watch David Auer’s appearance on “Success Today” here. To learn more about David and his services, visit www.premiertaxexpert.com or www.auertaxgroup.com. 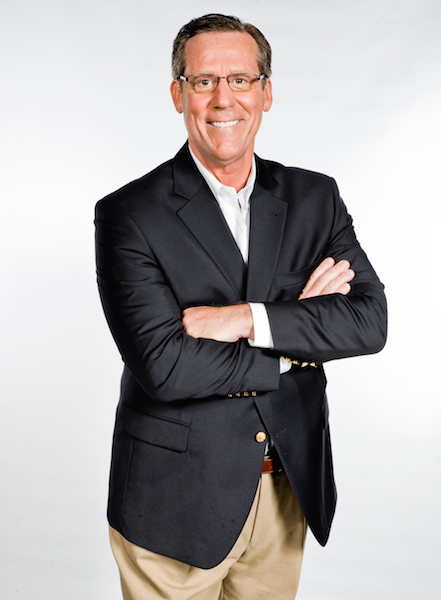 With over 30 years of experience, David Auer is the Founder and CEO of Auer Tax Group, a national tax-consulting firm. David earned his BSBA and MS in Accounting from Oklahoma State University, his JD with honors from Oklahoma University College of Law, and his LLM in Taxation from New York University School of Law. He has the Personal Financial Specialist (PFS) and Chartered Global Management Accountant (CGMA) designations with the American Institute of CPAs. David is a Fellow with the Esperti Peterson Institute and member of the Order of the Coif, Wealth Counsel, The American Association of Attorneys-CPAs, and The National Academy of Best Selling Authors. David is a frequent speaker, recognized as one of America’s Premier Experts®, on the adjunct faculty of Asset Protection Corporation founded by internationally acclaimed asset protection attorney Robert Lambert, LLM in Taxation, Esq., and is the author or co-author of several books, including 57 Ways to Grow Your Business – Bright Ideas for Serious Entrepreneurs; “You Can Deduct THAT?”; Ignite Your Life with Brian Tracy; Performance 360 Special Edition with Richard Branson; and Road to Success with Jack Canfield.